Fields had been under pressure for the company's lagging stock price and lower-than-expected profits so far this year. DETROIT -- Ford, in a sweeping management shake-up, named Jim Hackett, former CEO of Steelcase, as its new chief executive, replacing Mark Fields, who is stepping down amid pressure from shareholders over a slumping stock price. Hackett, who also helped revive the University of Michigan football team by hiring Coach Jim Harbaugh during a tenure as interim athletic director, replaces Mark Fields, 56, who was recently pressured by board management and shareholders over a slumping stock price. Executive Chairman Bill Ford, speaking Monday, compared Hackett to Alan Mulally, the CEO who took over and steered Ford through the Great Recession. “Alan captured the hearts and minds of our employees and made them feel not only could we win but that we would win,” Ford told reporters. “I think that’s something that you’ll see very much with Jim. Jim is a cultural change agent." 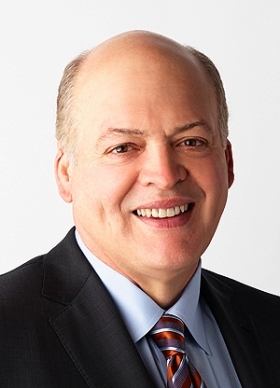 Hackett, 62, most recently served as chairman of Ford Smart Mobility. Ford created that subsidiary last year to handle its investments in autonomous vehicles and new mobility services. Fields has been pouring billions into self-driving cars and ride-sharing experiments as its traditional car business has struggled in a slowing U.S. market. Ford said that -- even after Mulally’s changes -- the company still was too reliant on a corporate hierarchy to get things done. Hackett said much of his job will involve motivating the team at Ford, something he did while at U-M and Steelcase. Ford said Fields has elected to retire from Ford after 28 years with the company. Ford said company directors made the decision after a Friday board meeting. Jim Farley is appointed executive vice president and president, Global Markets. He previously served as president of Ford’s Europe, Middle East and Africa. Farley will be returning to Ford headquarters in the U.S., a spokesman said. Among his new duties, Farley will preside over the Lincoln luxury brand. Lincoln President Kumar Galhotra will report to Farley. Joe Hinrichs, formerly president of the Americas, was appointed executive vice president and president, Global Operations. Raj Nair will continue to serve as head of Ford product development, and will report to Hinrichs, a spokesman said. Marcy Klevorn is appointed executive vice president and president, Mobility. Those three appointments are effective June 1. New leaders to succeed Hinrichs, Farley and Klevorn will be the subject of a future announcement, Ford said. Paul Ballew was also appointed vice president and Chief Data and Analytics Officer. Mark Truby also replaces Ray Day as head of communications. Day will stay on to “provide consulting services” through the end of the year. Truby will report to Bill Ford. Forbes first reported the management changes Sunday night. Ford shares rose 1.6 percent to $11.04 as of 11:05 am ET in New York. Fields, 56, had been under pressure for the company’s lagging stock price and lower-than-expected profits so far this year. Board members had recently reportedly questioned Fields’ strategy for the future of the company, which relies on heavy investments in driverless and electric vehicle technology. Since Fields took over as CEO from Alan Mullally in July 2014, Ford’s stock price has fallen nearly 40 percent. Last week, Ford announced it would slash 1,400 salaried workers in North America and Asia as a cost-cutting move as it continues to spend on what it calls “emerging opportunities.” That type of move, normally reserved for distressed business units and economic downturns, came amid a relative boom time for the industry. Before he was named CEO, Fields served in a number of positions, including COO and president of the Americas. 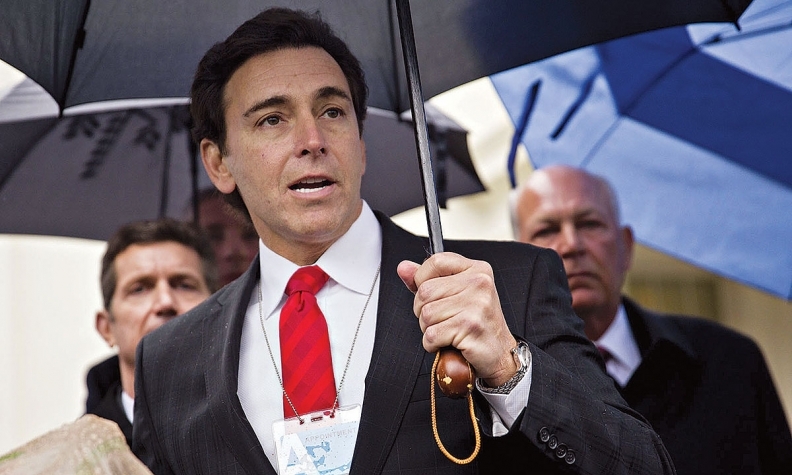 During his time leading the Americas, Fields was the architect of Ford’s “Way Forward” plan to restructure the business as its profits disappeared during the last industry downturn. He also served as CEO of Mazda. When he took over for Mulally in 2014, Fields inherited an automaker on the verge of posting record profits. He also oversaw the transformation of the profit-generating F-150 to include an aluminum body, as well as dozens of other product launches. Fields also appointed a separate president to head the Lincoln Motor Co. in an effort to revive the luxury brand. Executives, including Chairman Bill Ford, praised Fields early on and said the transition between CEOs had been seamless. But Fields came under fire in recent years as Wall Street remained unimpressed with Ford’s profits and plans for the future. At last year’s annual meeting, one shareholder even asked to bring back Mulally -- a popular figure who helped save the company during the financial crisis.